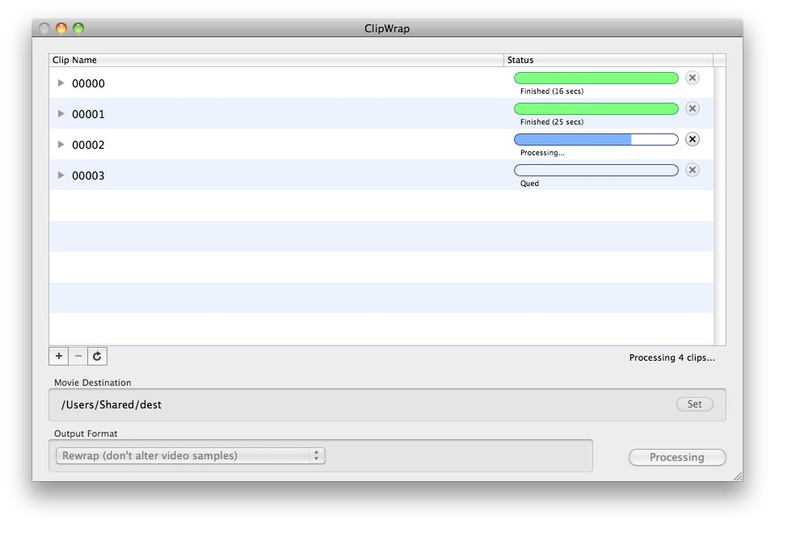 ClipWrap re-wraps your AVCHD (mts, m2ts) or HDV files (m2t) into a QuickTime container without the need for transcoding, allowing you to more easily manipulate files on your Mac. The converted file is compatible with leading Apple based editing formats (ProRes, DNxHD, etc) and non-linear editors (Final Cut Pro, Avid Media Composer, Adobe Premiere Pro, Apple iMovie). Requires OSX 10.4.11 or higher.